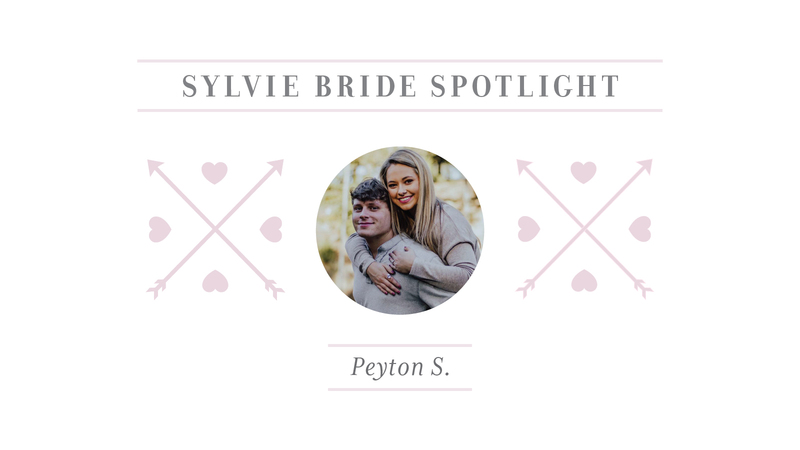 Sylvie Bride Spotlight: Payton S.
Say hello and congratulations to our Sylvie bride, Payton and her fiance, Joe! In a small town everybody knows everybody. When I met my soon to be husband in our small town, I had no clue who he was. We had walked by each other time and time again not knowing how important we would soon become to one another. 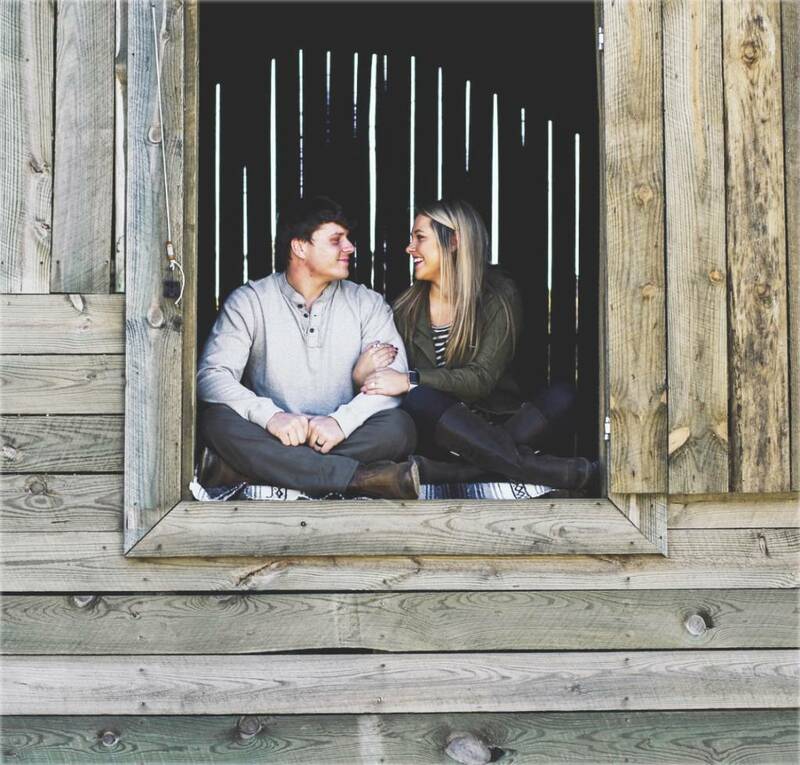 How did you meet your fiancé/spouse? It was the end of my 8th grade year and the end of Joe’s junior year of high school when we met. Our class had went outside to the football field for the remainder of the day since it was close to summer break. Joe was practicing his field goal kicks with a friend and we made eye contact several times. When the bell rang, we went our separate ways. Joe had asked some of my friends for my number and we’ve been talking every day since! What is your favorite “courtship story”? I didn’t have a single moment where I knew Joe was going to be my husband. From the first day I met him, I just kind of knew. 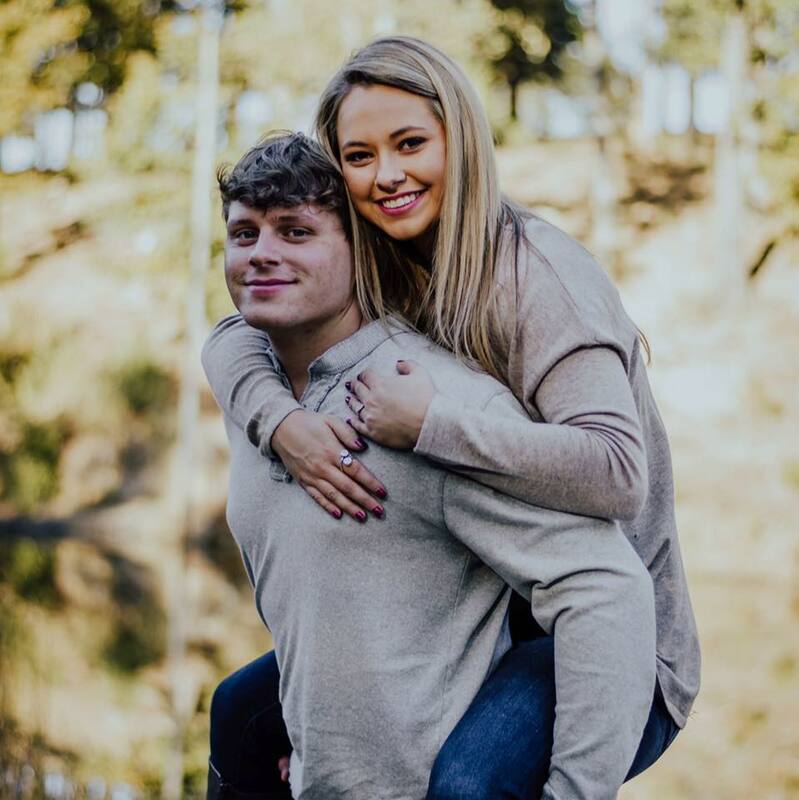 He was my first serious boyfriend, but everything just felt right with him. We both graduated high school and as each new year approached, we grew closer. Joe and I were staying in a one-bedroom apartment at the time that he proposed. It was the week of Thanksgiving and just another night in our apartment before bed. Joe brought my cat to me and she had the ring around her collar and that’s when he asked me to marry him! It was a puuurfect proposal! What made you decide to choose a Sylvie Collection ring? I chose a Sylvie collection ring because they were the ones that caught my eye the most. Every ring I would try on just did not compare to a Sylvie collection ring. Every Sylvie ring that I tried on, I loved! Which ring did you choose and why? I chose the Melodie- two tone double halo engagement ring. To me the rose gold in the halo was different and unique and represented our relationship. I tried on several rings, but I just kept going back to the Melodie. Where did you buy your ring (which store)? Tara & Co. Searcy, Arkansas. What do you love most about your Sylvie Collection ring? I’m obsessed with every single detail on my ring! I love the rose gold halo, the diamonds going down the side of the band and of course the diamond in the middle. What do you say “yes” to in life? I say yes to happiness. Being the happiest version of myself that I can be and spreading it around to others. I say yes to adventure and exploring the earth that God has created so beautifully. I say yes to family and friends and spending quality time with them laughing and being in the moment. What do you love most about your Sylvie Bride? I love Payton because she was the first woman, I ever loved more than anything I’ve been close too in my life. I love her for who she is and not what she has. Payton loves like no other and always makes me feel special. I married Payton because I knew she was the one I wanted to spend the rest of my life with. Payton makes our marriage exciting and she always keeps it comical. All the laughs we share is what makes us who we are. 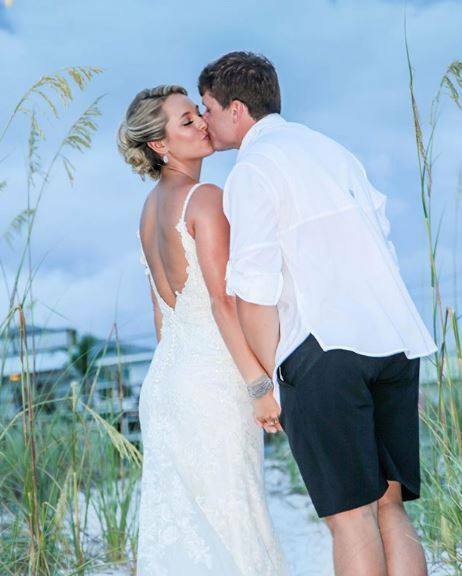 Share your love story with us to be featured as a Sylvie Bride! To receive more information on finding the perfect diamond engagement ring, subscribe to our newsletter, or find a retailer near you using the Sylvie Collection store locator. 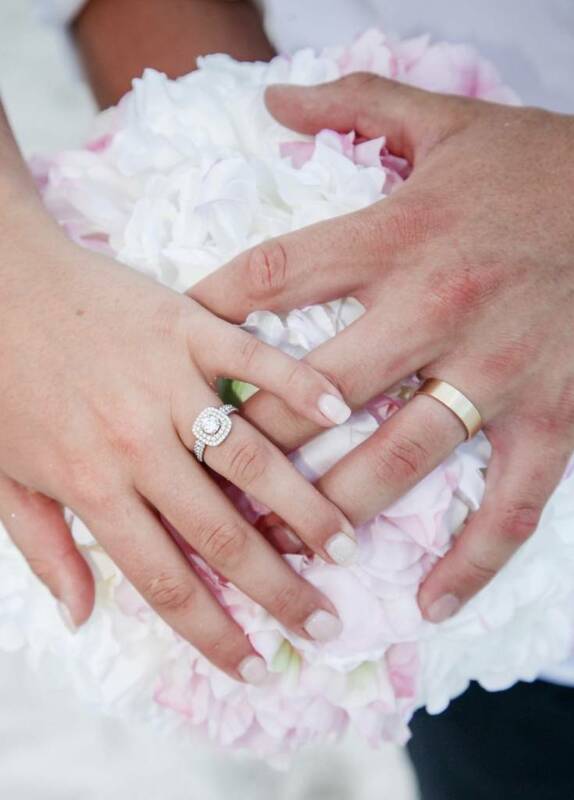 Looking for fashion trends, wedding inspiration, advice, engagement rings and more? Follow us on Facebook, Twitter, Pinterest and Instagram!